Glamping, flashpacking, digital retreating – travel trends come and go but the latest tourism buzzword is here to stay – sustainability. Proving it is possible to enjoy the world responsibly, an increasing number of hotels have committed to giving something back via local community initiatives and eco programmes designed to help counter the negative impact of air travel and mass tourism. With the UN declaring 2017 as the International Year of Sustainable Tourism for Development, we’ve rounded up some of the world’s most environmentally conscious resorts putting greener travel firmly on the map. 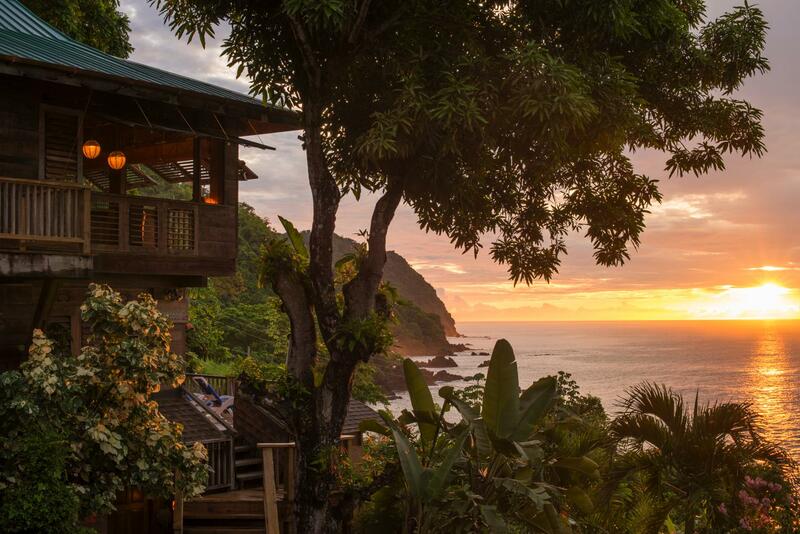 Nestled amid tropical rainforests on the north-west coast of Tobago in a tiny fishing village, Castara Retreats consists of 15 treehouse-style lodges with views across the Caribbean. The family-run resort on Trinidad’s little-sister island is a bastion of community-led tourism. The eco hotel’s ‘one-family’ approach empowers locals who have a stake in the business, working as waiting staff, drivers, chefs and fitness instructors. Guests can pick coconuts from trees outside their windows, watch chickens and agouti (an endangered species of guinea pig, protected by the resort’s on-site wildlife sanctuary) roam freely and soak up authentic Caribbean culture from locals who spearhead everything from kundalini yoga on the beach to bread-making in the kitchen. The trickle-down effect of tourism goes straight back to local business, so swing by Chenos for a breakfast of patty buns and eggs, or learn to dive with a local marine biologist. You’ll be rewarded with views of some of the most unspoilt reefs in the world thanks to Castara Retreats’ coral regeneration programme, which trains young locals to monitor them. They recently discovered fields of elkhorn, an endangered coral species that had declined by 98 per cent is now under protection. Paradise, it seems, is far from lost.